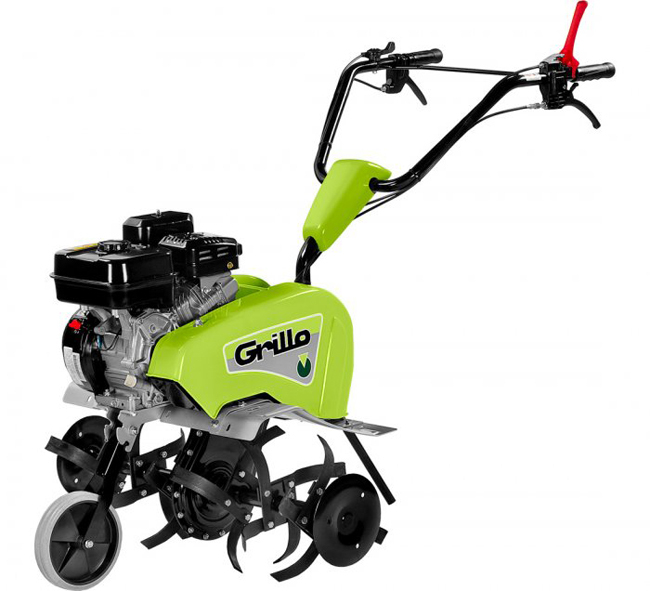 Powered by a 196cc Kohler 3000 Series petrol engine, the Grillo Princess is a heavy duty garden tiller. 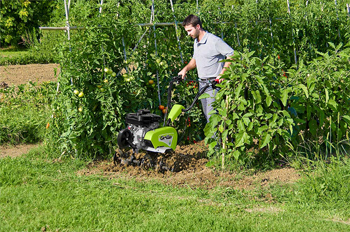 The working width of this adaptable machine can be adjusted from a maximum of 83cm with side discs fitted to 59cm. Removing the side discs given the options of with 30cm, 52cm or 72cm. Maximum working depth is 32cm. Pinion and chain transmission with forward and reverse gears. Front transport wheel. The operators handle has both height and side adjustment. An optional furrower attachment is available for this machine. Delivery of the Grillo Princess MR is included only to addresses in Norfolk and the Waveney Valley area of Suffolk. One of our own service engineers will deliver and install this machine. We provide full after sales support for all Stiga products we sell from our branches at Horstead, Norwich and Toftwood, Dereham.